Kitschy and cool, our mid-20th century style gift wrap from Ken Brown's Comical Commodities is so much fun, you'll want to wrap it up and give the paper as your gift! Each image is a party in itself! Each sheet measures 20 by 30 inches. And you get two sheets! 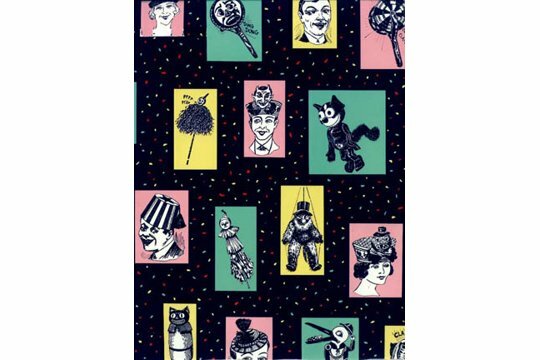 There are Shriners, cats, clowns, devils birds and more all together on a black confetti background.